Aw Bon Bon, we're sorry. Looks like we'll have to forgive you for forcing upon us all your Song of Innocence. In an interview with BBC's Graham Norton, Bono finally put the kibosh on the assumption that he think the future so bright he gotta wear shades all the time. 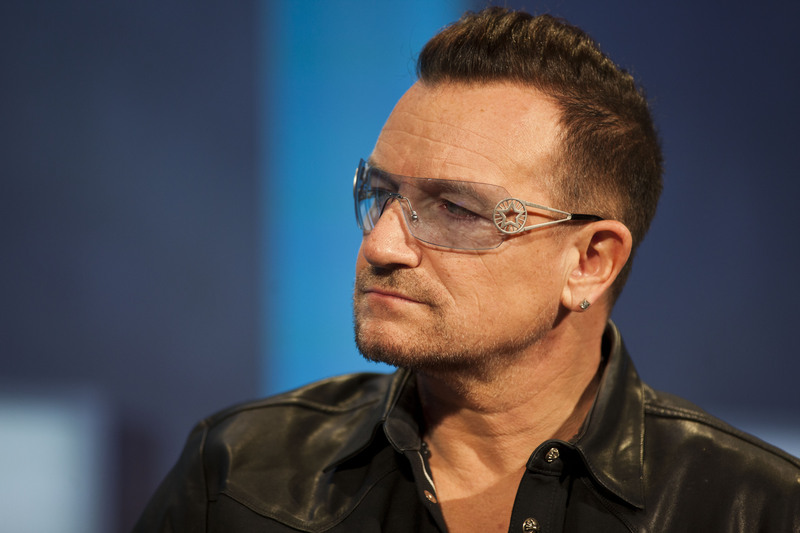 Bono admitted he wears sunglasses because of glaucoma and that he has had the eye disease for quite some time. Bono told Norton, "This is a good place to explain to people that I've had glaucoma for the last 20 years." He goes for the purps a lot. More of an amber shade. He's very apt at matching his backgrounds. Cause he's chill as eff. He's not afraid to rock a more traditionally feminine shade. There are plenty of rose-colored glasses metaphors here. This might be his sassiest shade. Check that stance. Bono interprets balayage not in his locks but in his glasses. He can be on trend, too! Rock on, Bono. The world is your bespectacled oyster. Never again shall we mock your eyewear choices.Images: Getty Images (7).